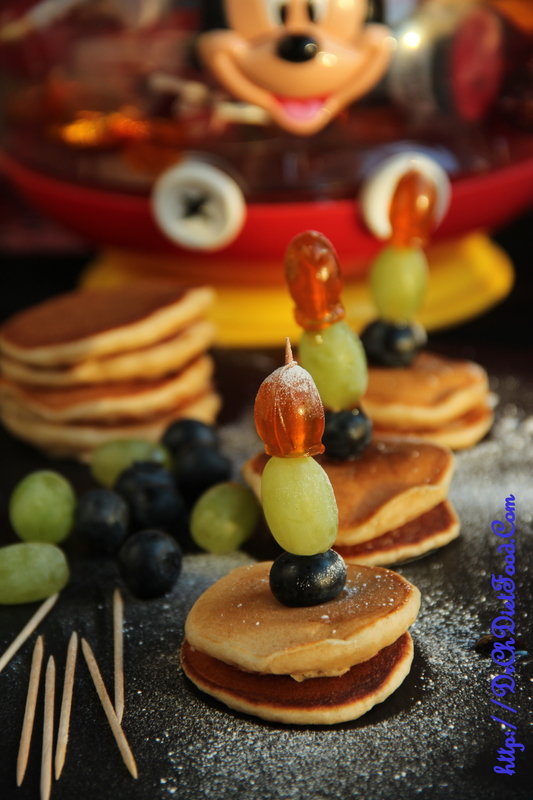 The concept of pancake skewers is so easy – just take your favorite pancake recipe and make them miniature-sized so they can be stacked together and served on a platter. 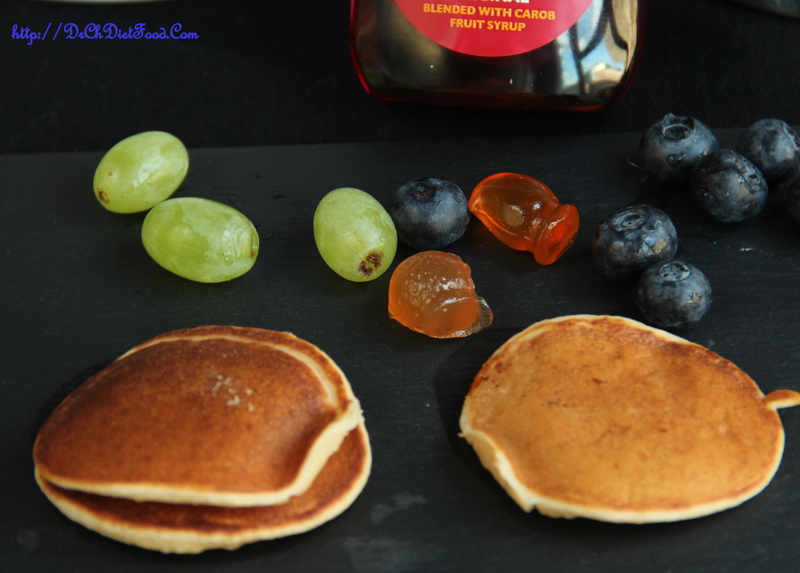 I added the banana slice and a blueberry for a little extra flair, but depending on your flavor of pancake, you could coordinate any fruit you want. Fruits are packed with vitamins, minerals, antioxidants and dietary fiber. The health benefits of these super foods can affect your child’s health now and into adulthood. Several important nutrients like vitamin C, potassium, fiber and folate are consumed. Fruits and vegetables are good sources of these nutrients, they can also help fill the nutrient gaps in your child’s diet. Each fruit and vegetable has its own nutritional profile, so include a wide variety to make sure your child gets the full array of nutrients. In a large bowl combine flour, baking powder, baking soda, salt and set aside. Whisk greek yogurt, milk, vanilla extract, vegetable oil in another bowl. Combine dry ingredients and wet ingredients and stir until just blended. 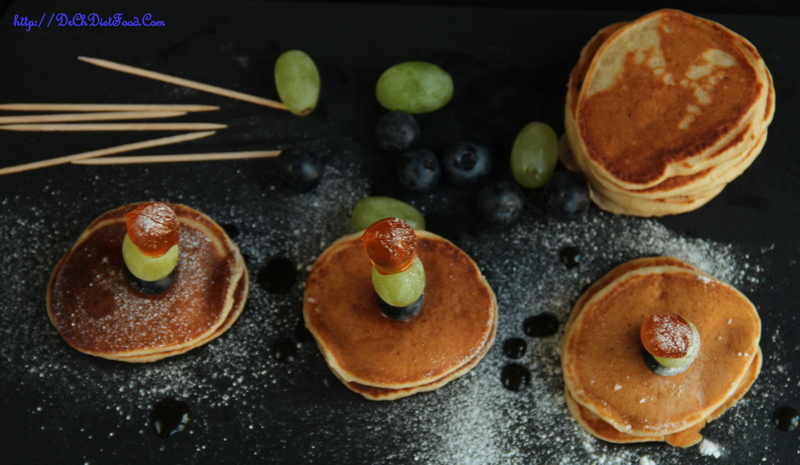 Heat a griddle or a non-stick pan over medium high heat and spray some oil. 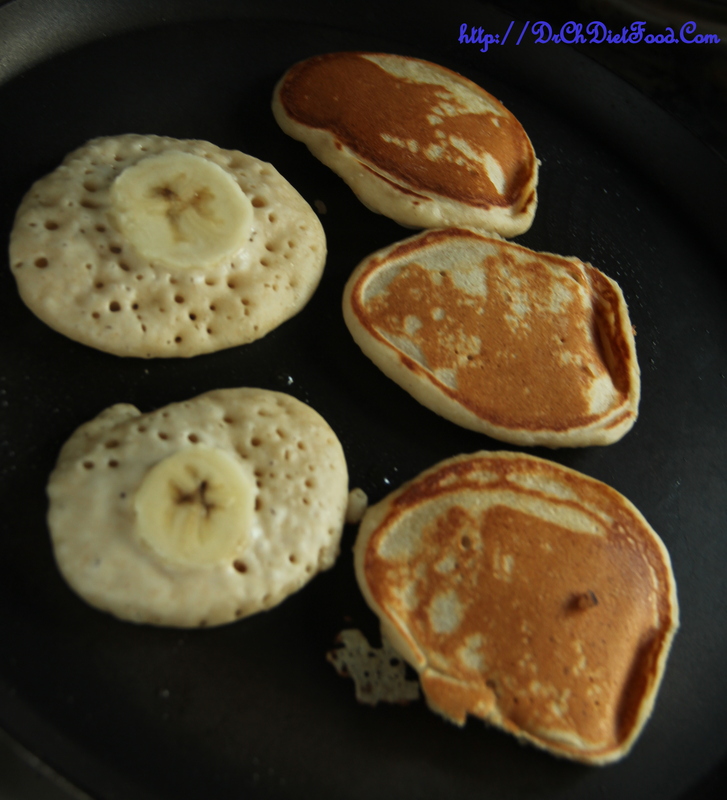 When it is medium hot, pour a tablespoon full of batter on the griddle (4-5 pancakes per batch or as per the size of the griddle) and quickly top with a banana slice. 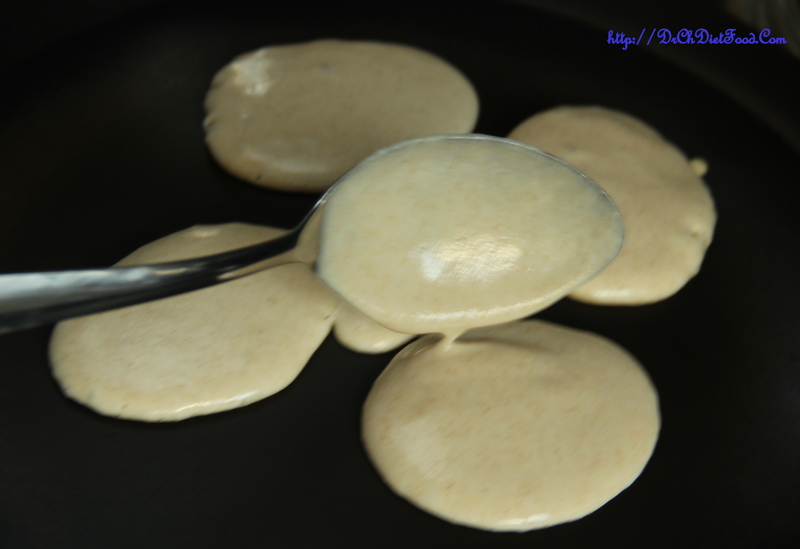 Flip after about 15-20 seconds or when several bubbles have formed in the batter. Cook on the other side for another 20-30 seconds, and then set the pancakes aside until assembled. 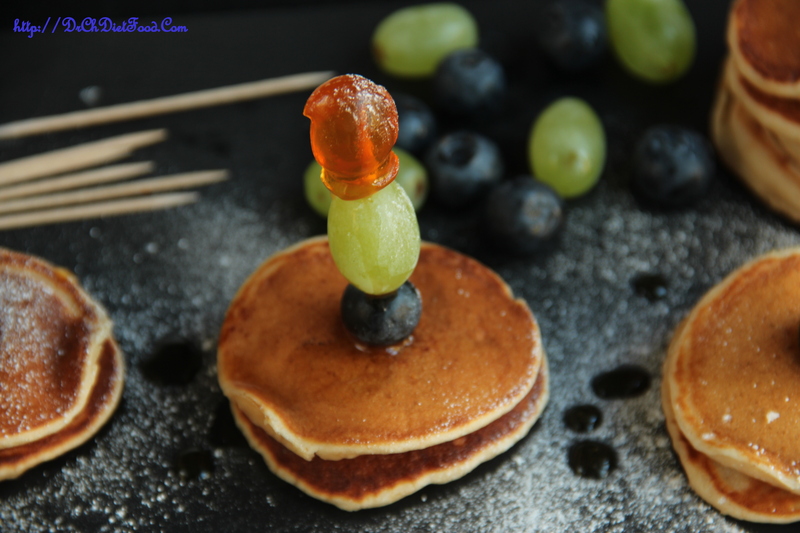 Posted on June 12, 2015, in Kids recipes and tagged banana mini pancakes, Kids breakfast ideas, Kids colourful recipes, kids fun recipes, Kids party ideas, Mini pancakes, Pancake recipes. Bookmark the permalink. 34 Comments. They are super cute the kids would love those. It’s fun food thats good for you!! 600 posts – wow and congrats! Thank you Laura for your wishes….